UC/CSU Approved: English “B” Requirement. Satisfies one year of the English graduation requirement. Advanced Placement English Language and Composition includes works from American Literature in chronological order, but the majority of the course focuses on works of nonfiction in a variety of rhetorical contexts. This is a “college course [that] provides students with opportunities to write about a variety of subjects from a variety of disciplines and to demonstrate an awareness of audience and purpose.” The course’s emphasis on expository, analytical, argumentative, researched, and personal writing will help students develop their skills in a variety of contexts. Additionally, students will learn to synthesize various sources in their own writing and analyze graphics, political cartoons, and advertisements as visual texts. The demands of the course are comparable to those of a first-year college level English course; the expectation is that students are willing to work independently and to make a commitment to the challenging workload. 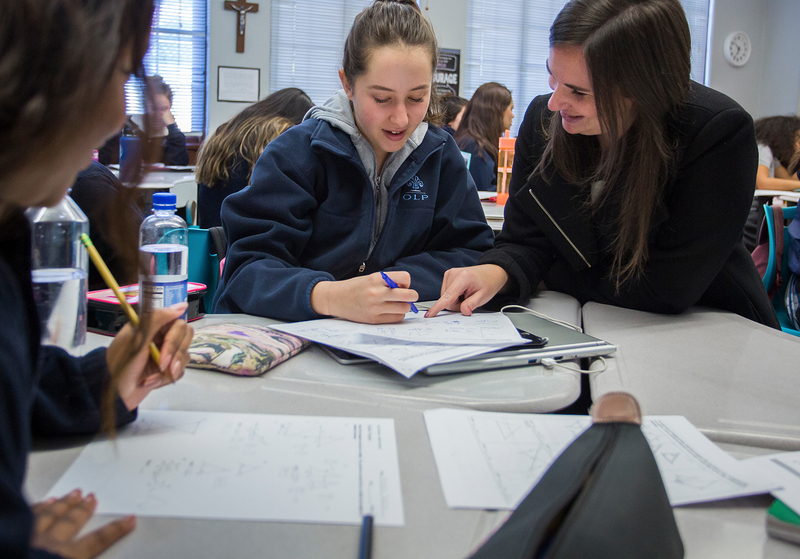 It is important to remember that the goal of this class is not just to prepare students for the AP exam in May, but also to nurture habits of mind and an appreciation for language that ultimately lead to a mature academic perspective. Additional texts will be provided by instructor. World Literature with an “A” for both semesters. © 2019 Academy of Our Lady of Peace.